Today, I thought I'd share with you my good behaviour rewards system. I've had a lot of success with it in the last two years and I've gotten parents involved as well. 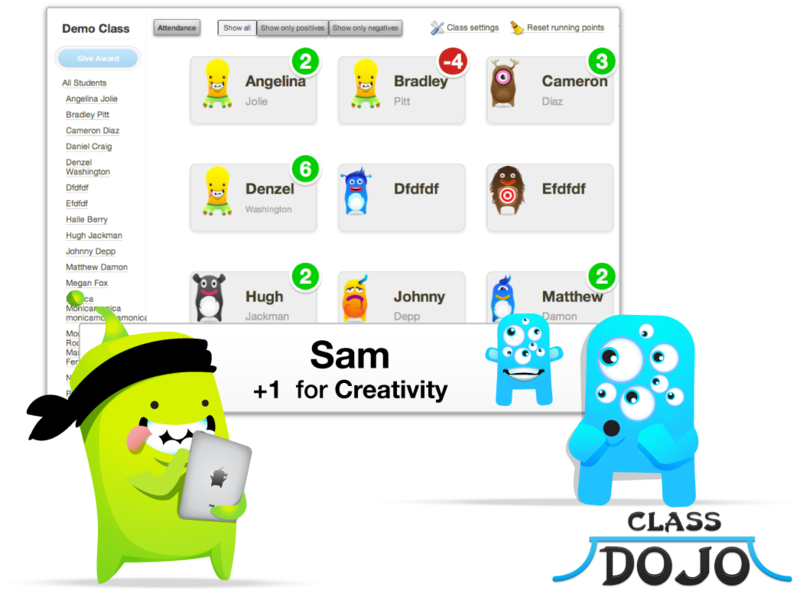 I use Class Dojo and if you haven't heard about it yet, then you must have been teaching under a rock. In September, my students and I came up with a list of behaviours that would earn them points. Some of them are speaking French at school (I teach in a French school, but most kids don't have French as a first language, so they tend to speak a lot of English), working hard, great group work, showing kindness, participating. We also came up with a list of behaviours that would result in losing points, like being disrespectful and bullying. I assigned each kid an avatar, sent home a letter about how I would use Class Dojo and encouraged parents to sign up for a Parent Account. Only a few signed up and they check their child's progress on a regular basis. Once a month, I send home a behaviour report that I print off Class Dojo and ask parents to sign it and return it to school. It keeps my kids accountable. So what do I do with those points? It doesn't just end there. 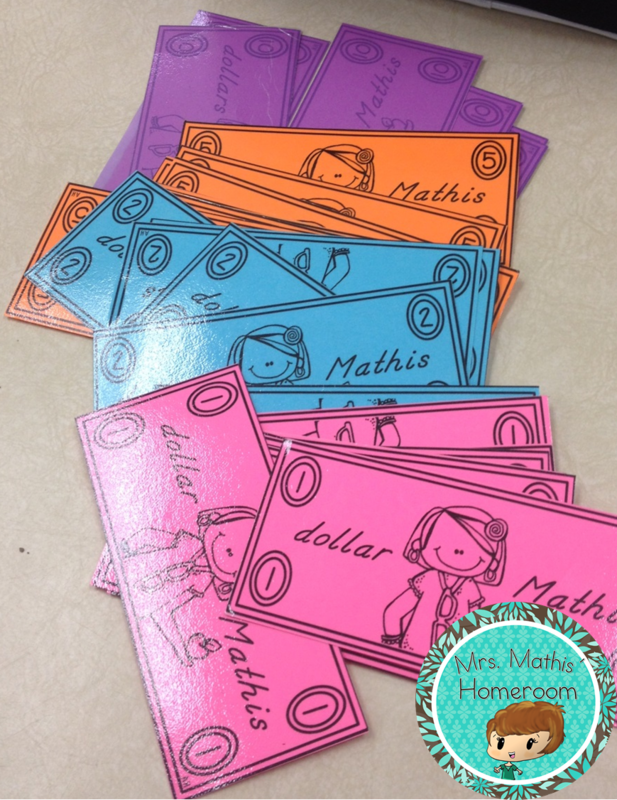 Every Friday, I "pay" my students with Mathis Dollars. One point = 1 Mathis Dollars. The kids then use this "money" to buy rewards. Again, in September, we came up with a list of rewards together. There are some individual rewards that don't cost me anything, like sitting at the teacher's desk, working with a partner for the day and homework break. I also added popcorn, hot chocolate, special pencils, a trip to the treasure box etc. I don't mind spending a little bit of my own money on rewarding good behaviour. We also have group rewards like a movie, a dance party, pajama day, and the all time favourite, a pizza lunch. For group rewards, students have to decide together what they're going to purchase and they collect money from every student in the class. We've done this a few times already and I've never had issues (aside from the one time where they decided to get organized when I had a substitute teacher in, but I'm not going there today...). One thing that I did different this year, was ask parents for donations for the Mathis Store, and I've been very blessed so far. Every once in a while, a child brings in gum, candy or toys for the store. I've also bought things on sale after Halloween, Christmas and Valentine's Day for very cheap. 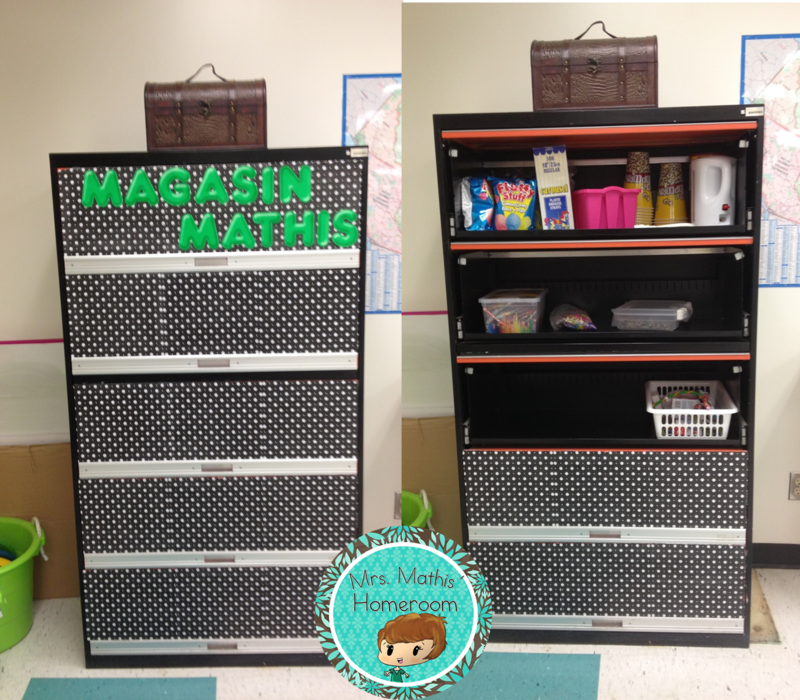 Do you use a reward system in your classroom?